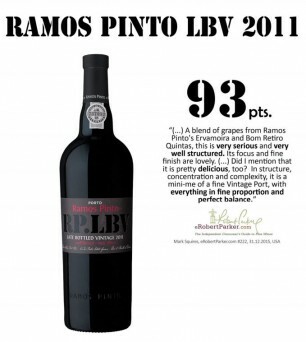 Ramos Pinto’s Late Bottled Vintage 2011 has been awarded a stunning 93 points by Mark Squires writing for eRobertParker.com. Ramos Pinto was founded in 1880 by brothers Adriano and Antonio and immediately became noted for its quality wines and distinctive art nouveau imagery. Ramos Pinto is run today by Jorge Rosas, Export Director, and João Nicolau de Almeida, the oenologist famous for officially identifying the five key grape varieties best suited for wine production in the Douro. Furthermore, he introduced and developed vertical vine planting techniques to the region and has advanced Port and wine production by building two of the most modern wineries in the Douro. The oldest LBV recorded at the Instituto do Douro e Porto belongs to the Casa Ramos Pinto and dates back to 1927. 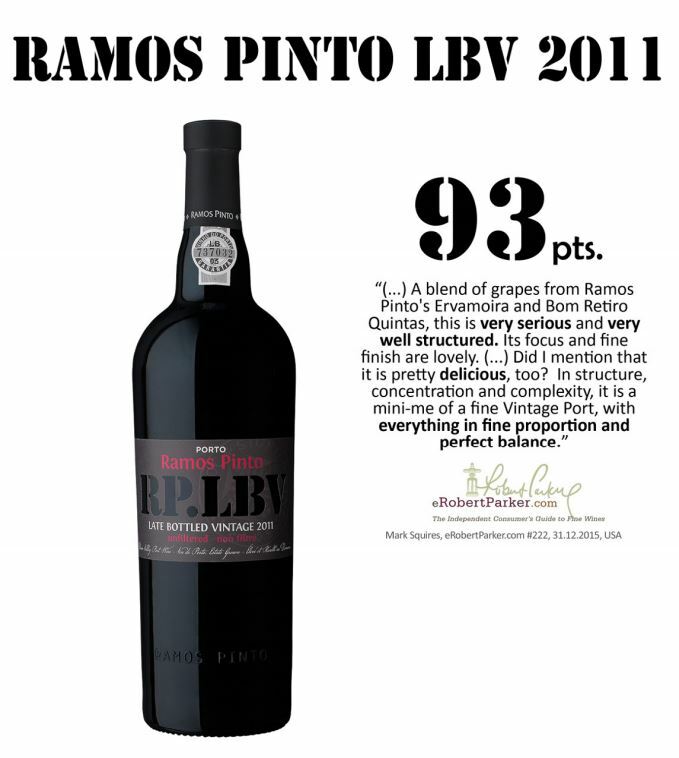 The Ramos Pinto LBV comes from a single year and a single harvest. Where the Vintage Port is bottled in its second year, the LBV is bottled in the fourth year after harvest, making it a more ready to drink style. Contact Christine to find out more about this high scoring wine.